Brad was professional and took the time to explain things, I didn't feel rushed at all. The entire experience was top notch. 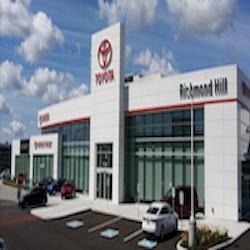 Other dealers could learn a lot from Richmond Hill Toyoto Service Department. Very respectful! Very fast and very good service! 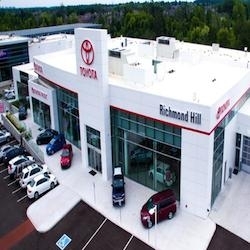 Highly recommend this dealership for service, Very comfortable waiting room and friendly atmosphere! I recently had an appointment for switching tires in my car with Frank. His service is always above and beyond: attentive, timely, pleasant and courteous. He is a great asset to your company! Thanks, Frank! Brian did everything he could to make sure I was absolutely pleased with my purchase. Great service with friendly and positive attitude. Very helpful. Especially Brian, the leasing manager, provided me with all the information I needed to make the right decision.